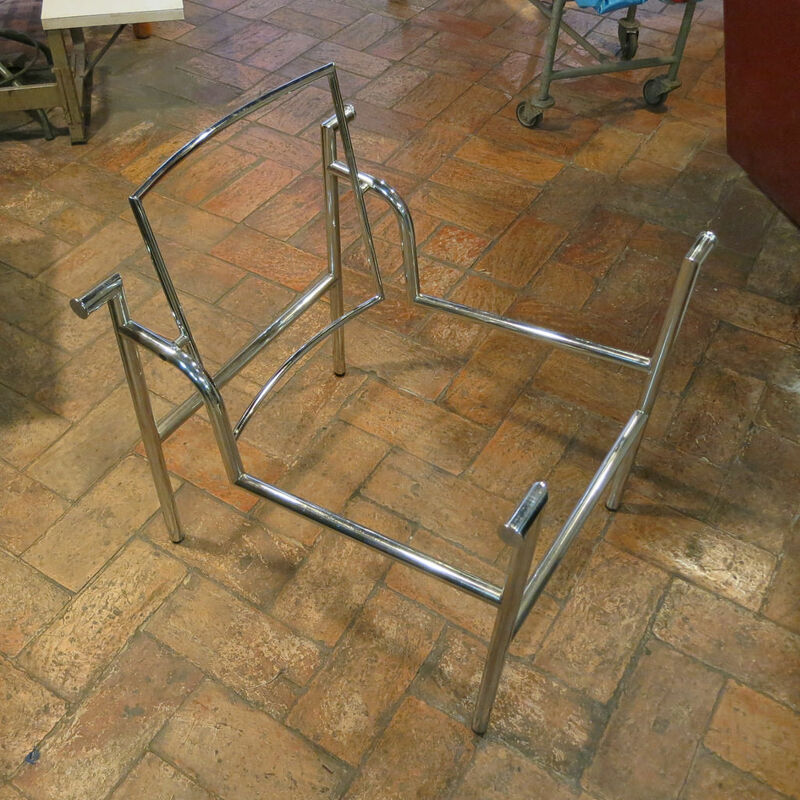 The LC1 “Armchair with a Tilting Back” (“Siège à Dossier Basculant”), also known as the “Basculant”, became an icon of 20th century design. 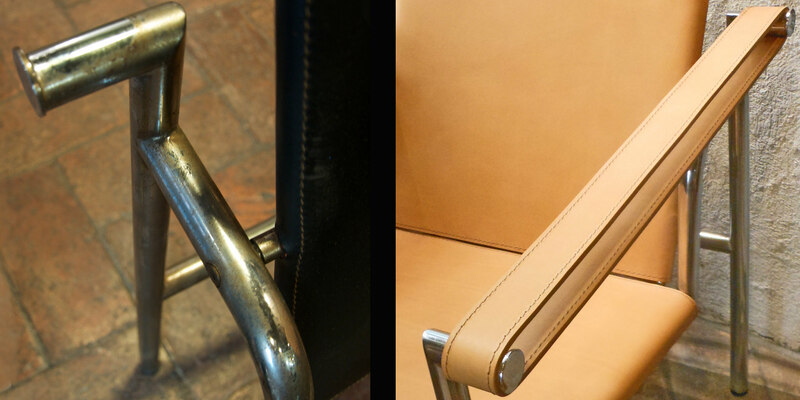 Made originally of canvas and chrome-plated tubular steel—at the time considered revolutionary in a domestic setting—it was modified later with leather or pony hide. 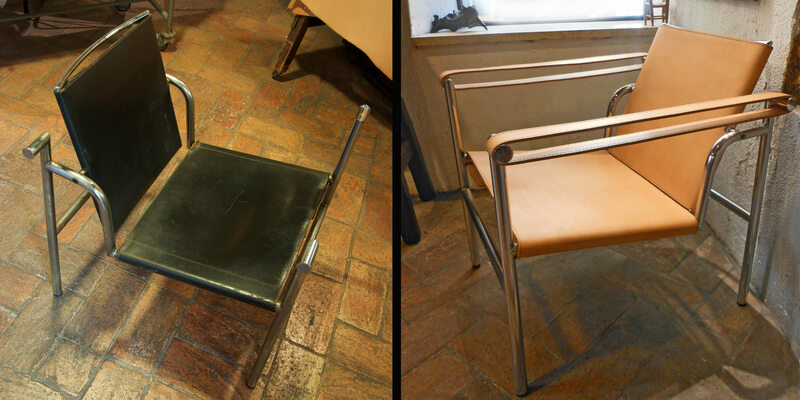 It was designed by Pierre Jeanneret, Charles-Édouard Jeanneret (“Le Corbusier”), and Charlotte Perriand in 1928 and presented at the Salon d’Automne in Paris in 1929. The functional geometrical lines make it simply beautiful, even 85 years later. The chair in the photos had been languishing in a cellar for some time, rusting away, with its leather and springs no longer serviceable. 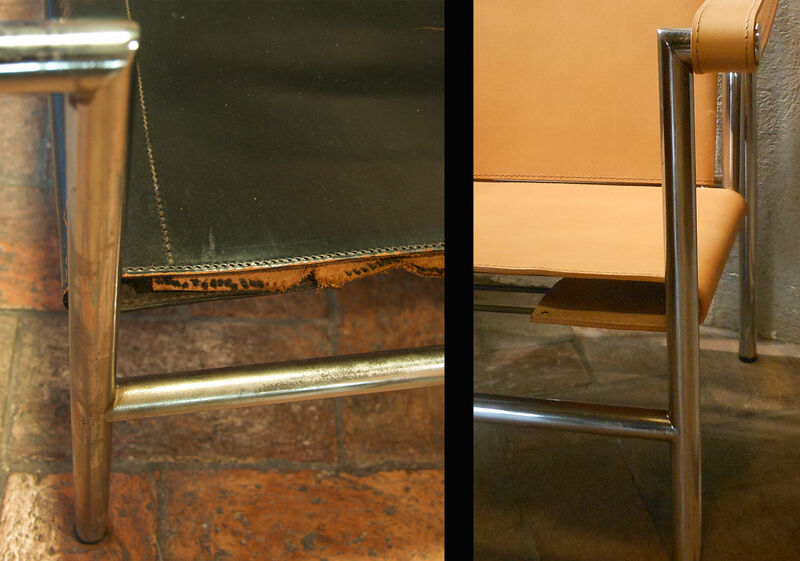 Dario restored it more faithfully to the original than a previous restorer had—including the use of original Cassina springs. Published on March 23, 2014 by Dario Alfonsi.